Aqua Pool is a family-owned business and has been providing quality pool services and supplies to residents throughout the Bucks County area for over 40 years. When you make the decision to install a new pool onto your property or completely renovate your existing one, we at Aqua Pool want to be the ones to help! If you're looking for high quality and personal service, you've come to the right place! 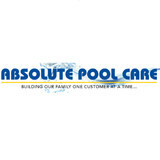 At Absolute Pool Care we’ll give you the attention and personal service you'll come to expect and enjoy. With 30 years of experience in the pool service industry, let us put our experience to work for you. Our rates are competitive, with no hidden fees. Our employees are friendly and will be there to help you every step of the way. Schembri Pools, Inc., in Levittown, Pennsylvania, is a family-owned-and-operated company and has been renovating pools since 1997. Steve Schembri, founder and owner, started the business more than 10 years ago. Since then, the business has grown into a well-known and respected pool installation and service company, built on customer referrals, from one happy pool owner to the next. We employ honest and hardworking workers. Plus, all of our crew leaders have more than 18 years of experience and knowledge. At Schembri Pools, Inc., we strive to build and maintain excellent business ethics and relationships. Providing honesty, reliability, and trust to every customer is of great importance to us. That's why we endeavor to complete every job as if it were in our own backyard. Pools and hot tubs are great fun, but they also come with not-so-fun upkeep and maintenance. That’s where Norristown, PA pool cleaning services come in — leave the dirty work to the professionals so you can enjoy swimming and relaxing without a single worry. Whether you’ve got a leak, cracked tile or just need recurring cleaning, you’ll need a Norristown swimming pool repair and maintenance company that you can trust to get the job done right. 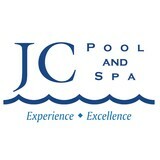 What should I look for when hiring a pool cleaning service in Norristown, PA? Pools and hot tubs are big investments, so you’ll want to make sure to protect them by hiring an expert who cares about them just as much as you do. Check that the Norristown swimming pool maintenance service you are interested in actually specializes in the type of pool you have — chlorine and salt water pools have very different needs, and in-ground versus above-ground pools will require different upkeep and repair methods. Also, know who will be doing the repair or service; if it’s one of the larger swimming pool services in Norristown, PA, request that you get same person every time, otherwise you could get inconsistency in treatments. Good Norristown pool professionals will keep a consistent schedule and log everything they do so that it can be referenced in the event that you switch companies or something does go wrong. Like any other professional, look for local pool cleaning companies near you with plenty of good reviews and relevant experience. 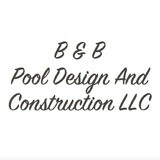 Find a Norristown, PA swimming pool repair and maintenance specialist on Houzz. Narrow your search in the Professionals section of the website to spa and pool maintenance companies in Norristown, PA and read reviews and ratings for pros in your area.